What is lutein? Lutein is one of the most important antioxidants for your eyes - especially the macula. It is a carotenoid found in dark green leafy vegetables such as kale and collard greens. It also provides the yellow or orange pigment found in some fruits and vegetables. Carotenoids are antioxidants that help protect us from the damaging effects of free radicals. This antioxidant is found in the eye, blood serum, skin, cervix, brain and breast. The highest concentrations of lutein are in the macula - the small center of the retina that is responsible for our straight ahead and detailed vision. More specifically lutein is found in the macular pigment. The macular pigment is known to provide protection against macular degeneration and cataracts. The benefits of this antioxidant are not just for the macula, this pigment benefits our eyes, our skin and our arteries thanks to it's powerful antioxidant properties that fights free radical damage. An imbalance of free radicals and antioxidants can lead to cellular damage, which is a leading cause of heart disease, many cancers, and aging. Oxidation plays a role in the development of cataracts, or the clouding of the lens. Antioxidants are known to protect our cells from the damage that they cause. Here is the conclusion of a study that was reported on in January 2008. Lutein is an important antioxidant that is found in the macular pigment protecting the eye from damaging ultra violet light. Lutein is a pigment that gives food a red, orange or yellow color. In the dark-green leafy vegetables such as kale and spinach the green chlorophyll will mask the pigment. It is also found in egg yolks. Hundreds of carotenoids are found in nature, in fact around 600- but only 20 of them are found in the body. We get these carotenoids either from the food we eat or from supplements - the body does not make them. Carotenoids are naturally occurring, fat soluble pigments in plants. Because they are fat soluble, they are better absorbed when you include some healthy fat like olive oil with your spinach. The only way to take advantage of the antioxidant benefit of this carotenoid is by eating foods that are rich in lutein or through supplementation because the body cannot make it. This eye healthy antioxidant is found in hundreds of nutritional supplements, from multivitamins to eye care formulas to products containing this carotenoid as the sole ingredient. Be sure to read the label to see how much is included in each dose. 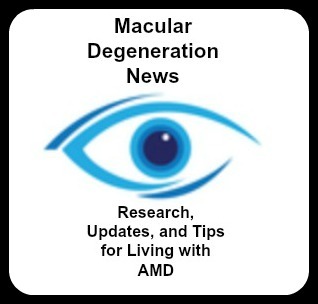 The macular degeneration vitamin that my husband and I take includes lutein as well as other good macular degeneration antioxidants, like zeaxanthin and bilberry. It uses all natural food sources that help to ensure that the nutrients are absorbed and utilized by the body.